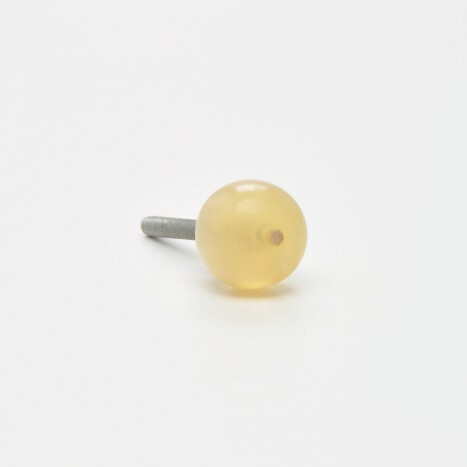 The simplistic design of this dainty pearl like cupboard knob adds the sweetness of a lollipop to your home. The small and traditional round body, along with soft cream colouring will not demand attention, but give a subtle, cute finishing touch. Have a gentle touch of simplicity to complete the elegance of your home. This knob is an ideal choice for classical and unpretentious furniture and will suit the personality of a stylish, modest home owner.